The Foreign Affairs Ministry on Saturday sent a diplomatic note to India’s Ministry of External Affairs expressing its concern over a planned temple that resembles Angkor Wat and insisting that its construction be halted. The temple project, in India’s Bihar province, has been in the works since 2012, when a private trust announced a plan to build a replica of Angkor Wat, angering the Cambodian government. To address Cambodia’s concerns at the time, India forced the architects to change their design, but Hun Han, Cambodia’s ambassador to India, said during a visit to the construction site last week that the new plans still had an “unacceptable” degree of resemblance to Angkor Wat. In the diplomatic note sent Saturday, Cambodia said the replica “violates” Angkor Wat’s status as a Unesco World Heritage Site. “The Royal Government of Cambodia considers that this copy of Angkor Wat Temple for commercial benefit seriously violates the World Heritage which is of a ‘universal and exceptional value of humanity,’” the note says. India’s ambassador to Cambodia, Dinesh Patnaik, said Sunday that the Mahavir Mandir Trust was likely trying to stir up controversy in order to grab the attention of potential donors to its project, which is projected to cost $20 million and take 10 years to build. “I have been trying not to give them publicity,” he added. 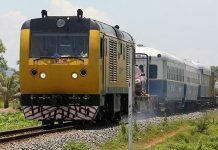 Mr. Patnaik said the trust had told the Indian government that it was only drawing inspiration from Angkor Wat, not trying to copy the landmark. He said India would not allow construction of an exact replica to go ahead. 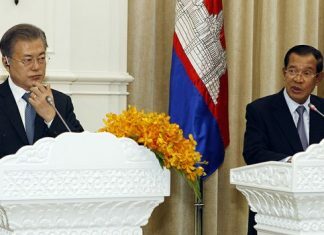 “We have a very good relationship with Cambodia and we would rather not have somebody doing something that creates problems,” he said. Mr. Patnaik noted, however, that the trust had not yet even acquired the land on which the proposed temple is to be built. “All of this is just on paper,” he said. 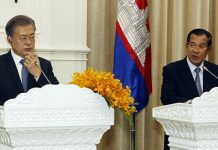 Thai Noraksathya, a spokesman for Cambodia’s Ministry of Culture and Fine Arts, said the diplomatic note of protest was needed because the trust had acted inappropriately. “If they want to copy the marvelous cultural heritage of Angkor Wat, they should have at least asked permission or clearly communicate in advance. Then it will be suitable,” he said. Still, he added, if the replica did end up being built, it could be to Cambodia’s benefit. “It will make people want to see the real temple even more,” he said.